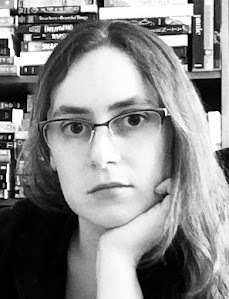 Oh, did you think the series was done and finished after thirteen books? 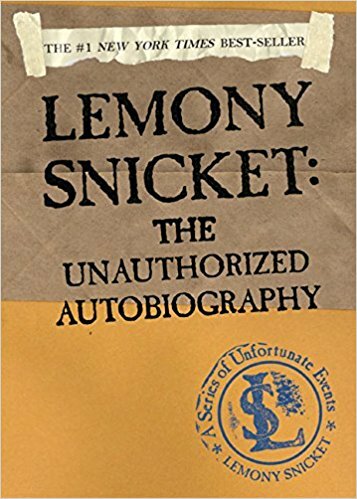 Well, it’s back with an additional bonus installment, a very tongue in cheek autobiography of the mysterious character behind chronicling the Baudelaires’ unfortunate events. This is an even quicker read than the already short middle reader books in the original series, as it’s packed with photos and “documents,” meaning fewer actual words on the page. At times I found the humor a bit young for me, sometimes tedious. 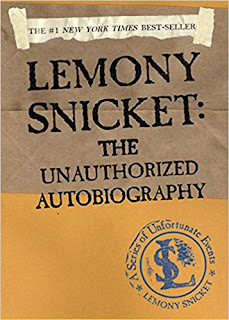 Part of the style is Snicket’s propensity for ridiculous rambling tangents. That being said, I expect it’s spot on for the target age and has the fun reward of involving the reader as a co-conspirator in untangling this spy-like puzzle. And the humor still managed to take me by surprise with a good laugh. I particularly encourage reading the Index at the end. My favorite entry is “Poe, Edgar Allan,” which - after listing the relevant pages - says “see also overall feeling of doom.” Look up to the “O” section for “overall feeling of doom” and you find yourself redirected to “see doom, overall feeling of.” Flip back to “D” and the page numbers of relevance are listed as “ix-211.” Yup, that would be the whole book. It should be no surprise to readers of the series if I add that there isn’t much logical flow to this “autobiography” and that you might find yourselves with more new questions than new answers by the end. Regardless, it’s a playful addition to a popular series that should give younger readers the chance to hunt for clues at coded double meanings.